Canara Bank PO Final Result 2018 - Canara Bank PO Appointment Joining Letter - Canara Bank PO Interview Letter 2018 - Canara Bank PGDBF Interview Schedule- Canara Bank PO Result Cut Off 2018 – Canara Bank 450 PO Interview Call Letter 2018 Interview Schedule Final Result / Merit List Cut Off - www.canarabank.com. Today, the good news is that Canara Bank has declared the final result against "RECRUITMENT OF PROBATIONARY OFFICERS IN JMGS-I ON SUCCESSFUL COMPLETION OF SPECIALLY DESIGNED PGDBF COURSE" on official website. 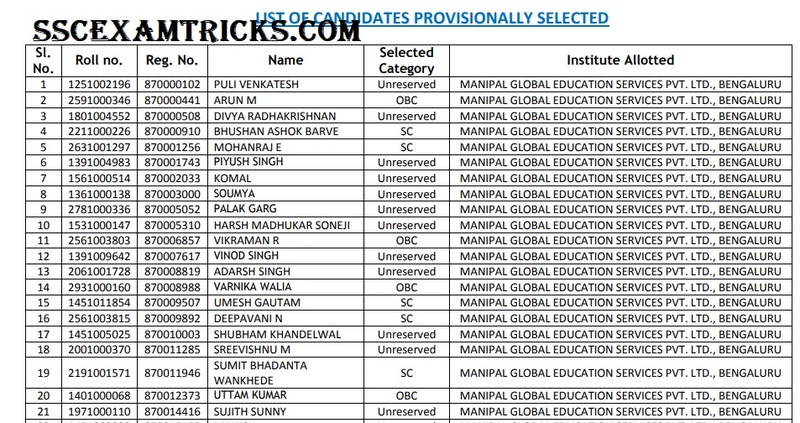 The institute of allotted candidates are provided on official website. The good news is that Canara Bank has uploaded interview call letter for PO in Junior Management Scale I Grade. The interview has been scheduled to be organized in April 2018. The date of interview, venue of interview, reporting time and other instructions have been mentioned in Canara Bank PO Interview Letter 2018. The candidates are advised to bring all original documents such as DOB proof (10th marksheet, Birth certificate), All Educational marks sheet & certificate (year wise or semester wise), professional qualification certificates, caste and community certificate and one photo ID proof (PAN card, Passport/ DL/ Voter card/ Aadhar) and online application form duly printed. The roll number wise interview list has been provided in the interview schedule for which link for downloading is provided here. The reporting time for interview is also mentioned with roll number. Canara Bank PO has been released for probationary officer exam held on 4th March 2018 for PGDBF course. The good news is that Canara Bank PO result has been declared now. 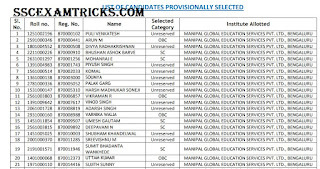 Those candidates who have appeared in the examination can download the result provided in the end of the page. Earlier Canara bank had conducted the written test through online mode on 4th March 2018. The result of this test has been declared now. Canara Bank has declared the list of candidates who have got selected for general discussion and personal interview. Canara Bank has released advertisement on account of filling 450 posts of Probationary Officers and applications are invited from 09.01.2018 to 31.01.2018 on the official website www.canarabank.com. The interested candidates can read the notification, age limit, educational details, selection process and others information given here before applying online form. The online process to apply has also been mentioned at the end of this page. · Click on Canara Bank PO Interview Letter/ Admit Card link and enter your registration and date of birth/ password.